YCDSB recognizes May 7-13, 2018 as Mental Health Week. 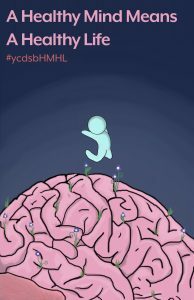 To mark this occasion, elementary students in YCDSB schools were invited to design a sticker, and secondary students were invited to design a poster featuring the Board’s Mental Health Slogan, “A Healthy Mind, Means a Healthy Life”. The stickers and posters raise awareness about mental health, and the top winning submission from each division will be replicated and shared throughout the Board. 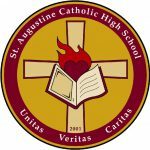 Grade 11 St. Augustine student Annika Lui tied for First Place in the Secondary Division. Congratulations Annika!